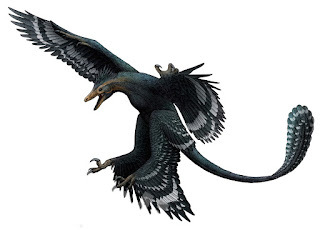 Zhongjianosaurus yangi gen. et sp. nov.
Etymology: The genus name and specific epithet are in honor of Yang Zhongjian (C.C. Young), who is the founder of vertebrate paleontology in China. Locality and Horizon: Sihedang, Lingyuan County, Liaoning Province, China. 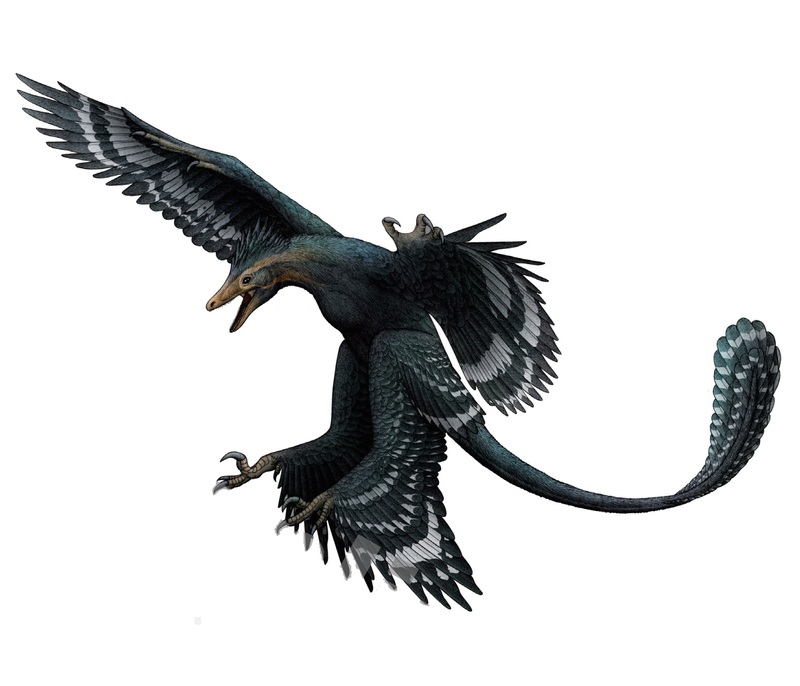 Possibly Yixian Formation, Aptian, Cretaceous (Swisher et al., 2001). 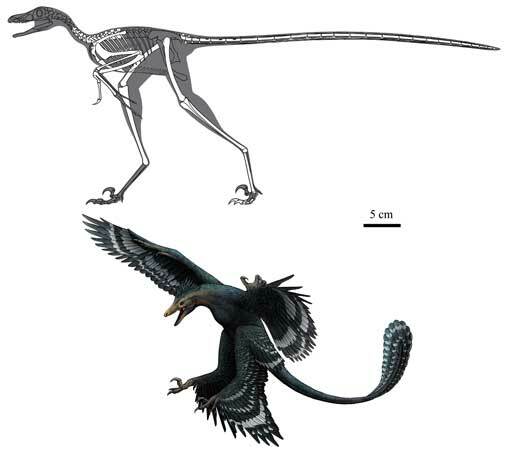 Diagnosis: A tiny microraptorine theropod distinguishable from other microraptorines in the following autapomorphies: proportionally long ossified uncinate processes fused to dorsal ribs, widely arched furcula with slender and posteriorly curved clavicular rami, humeral proximal end strongly offset medially from humeral shaft, humeral internal tuberosity short, presence of large fenestra within humeral deltopectoral crest, humeral ulnar condyle hypertrophied, ulna slightly longer than humerus, ulnar olecranon process with posterior margin mediolaterally pinched, ulnar distal end bending anteriorly and strongly expanded laterally, proximal end of metacarpal II with strong ventrolateral extension, metacarpal III laterally bowed with longitudinal ventral groove, phalanx II-2 without proximodorsal lip and lacking strong dorsal arching, femoral head stout and lower than trochanteric crest, medial condyle of tibiotarsus distal end with a prominent distal extension, arctometatarsalian pes, and metatarsal II without ginglymus on distal end. Xing Xu and Zi-Chuan Qin. 2017. A New Tiny Dromaeosaurid Dinosaur from the Lower Cretaceous Jehol Group of western Liaoning and Niche Differentiation Among the Jehol Dromaeosaurids. 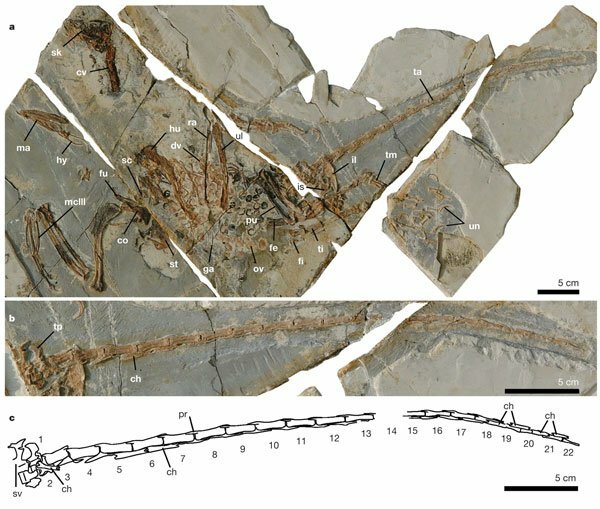 Vertebrata PalAsiatica. In press.